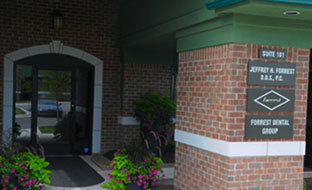 We take pride in providing exceptional dental care in and around Novi and Livonia, Michigan. Dr. Forrest’s name has been associated with quality dentistry since 1970. Our philosophy is to assure your dental peace of mind. Your experience visiting the dentist can be special. 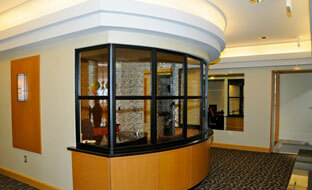 We invite you to come in and see what makes our dental office extraordinary. We are known for great customer service and innovative technology, as well as maintenance dentistry for all ages. We offer quick and easy smile perfection and cosmetic enhancement. In our office, we set up an appointment time and keep it. You won’t’ be kept waiting in the office of Dr. Jeffrey Forrest. Dr. Forrest and his highly trained staff use an effective combination of cutting-edge technology and time-proven methods to keep your smile healthy and beautiful. From chipped or missing teeth to discoloration, we offer the latest techniques to correct all your dental problems. Our experienced team works together to provide you with veneers, teeth whitening, crowns, bridges, partials, dentures and dental implants in order for you have a great smile and eat well. Our commitment is to serve our patients with care and compassion. If it’s important to you, it’s important to us! Contact us today to schedule your appointment at the office of Dr. Jeffrey Forrest – where everyone knows your name. Everyone deserves the life-altering benefits of a beautiful smile! We offer the latest cosmetic treatments, including porcelain veneers, teeth whitening services, and natural-looking implants. Gum disease, injury, and tooth decay can cause a loss of your natural teeth, but we can restore your smile with dentures. Dentures are custom made for each patient. Complete dentures cover the patient’s entire jaw. Partials are used for patients needing to replace a few missing teeth. Since 1970, Dr. Jeffrey H. Forrest has provided high-quality, compassionate dentistry to patients of all ages! Highly educated and well trained, he attended the University of Detroit Dental School where he earned a Doctorate of Dental Surgery degree. Dr. Forrest wants to help those seeking long-term, life-like dentistry. With our problem-solving treatments and elective procedures, we can assure you that you will leave our office with something to smile about! We look at the whole person and give you all the options so that you can make the right informed decision.